The Paducah Sun’s Ed Marlowe talks Racer sports, High School basketball, Mayfield vs LCA, his must have Thanksgiving Day food, and more. A look back at a busy weekend for Racer athletics and a regional sports update. The Paducah Sun’s Ed Marlowe talks Racer football, basketball, and volleyball. 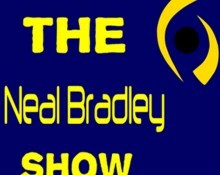 With the Racer women’s game today and Ed Marlowe covering that, we will have Ed on Thursday’s show. Today, enjoy press conferences of Mitch Stewart, Rachelle Turner, and Matt McMahon. A look back at the Racer loss to Middle Tennessee including post-game comments from MSU head coach Matt McMahon, followed by our weekly chat with Josh Planos on College Football, the NFL, and the NBA. A sports recap of basketball, football and more, but a preview of tonight’s Murray-Middle Tennessee game. A look at the opening night of college basketball in the OVC, tonight’s high school football playoff games, and more.